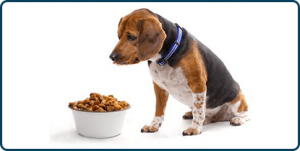 can help you decide the best prescription diet food for your pet depending upon their age, activity level, or to address chronic illness issues. We stock prescription and maintenance diets, and can order a large variety of foods for your pet’s need. Prescription diets are considered as a crucial supplement or complete replacement for the existing diet of your pet. Prescription foods are enriched with all the necessary nutrients that normal food cannot provide. Acidic urine can lead to numerous health ailments. Specialty diets play a vital role in balancing the pH levels in pet urine that prevents several serious diseases. Prescription food contains nutrients that are easy-to-digest. This allows the body tissues to repair at a faster pace. High-fiber specialty diet help in maintaining the gastrointestinal health. Special prescription diet helps in preventing diabetes. If you think regular dry kibble is the only good and healthy diet your pets require, you are highly mistaken. Paying due attention to your pet’s diet will prevent you from paying for expensive illnesses. The right diet improve the life expectancy of your pets and provide great support for getting over an infection or disease. At Westheights Veterinary Hospital Kitchener, we offer an array of special diets that improves the health condition of your pets and safeguards them from common health ailments. Call us now to discuss dietary needs of your pets with our pet nutrition vets.